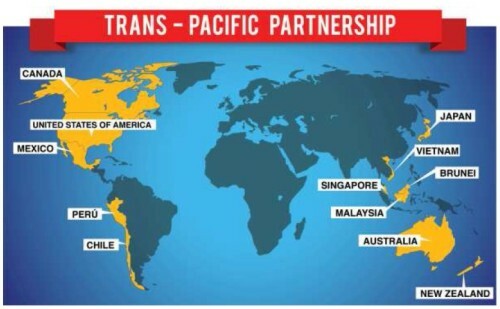 The text of the Trans-Pacific Partnership Agreement, a 12-country trade deal between New Zealand, Australia, Brunei, Canada, Chile, Japan, Malaysia, Mexico, Peru, Singapore, the US, and Vietnam, was released last week. After years of protest, TPP opponents have now gone quiet – it appears that scaremongering no longer works when the facts are publicly available. Even Labour’s opposition now seems ridiculous, more so as they initiated the TPP. To now oppose New Zealand being involved in the biggest trade deal in history – giving Kiwi businesses preferential access to 40 percent of global trade and 800 million consumers – is astonishingly short sighted. The problem for Mr Little is that well before his speech, Trade Minister Tim Groser had explained that while New Zealand’s restrictions on the sale of sensitive land and farm land to foreigners did not include houses, he had negotiated the right for future New Zealand Governments to set stamp duties at higher rates for non-resident house-buyers – if placed high enough, the tax would have the same effect as a ban. Essentially, the TPP will provide New Zealand businesses with a platform to build on the $20 billion of goods and $8 billion of services exported to member countries in 2014 – adding an estimated $2.7 billion a year to New Zealand’s GDP by 2030. This will not only benefit the business sector directly, but all New Zealanders, through higher tax revenues to fund better health, education, and other social services. It has long been considered that the success of the TPP hinges on the approval of the US. That came one step closer last week, when President Barack Obama informed Congress that he intends to sign the agreement. Under the rules of the trade promotion authority, the President must now wait 90 days for the deal to be reviewed to determine whether it will meet their approval. Once the 90 days are over, if the US signs the agreement, all other partners are expected to meet to sign as well, paving the way for the entry into force of the TPP. In New Zealand, once Cabinet has signed the TPP it will go through the Parliamentary treaty examination process. That means the text and a National Interest Analysis, setting out the advantages and disadvantages for the country, will be examined by the Foreign Affairs, Defence and Trade Select Committee, with the public invited to make submissions. Once this process is complete, the legislative changes required to implement TPP obligations will traverse their way through Parliament, including further select committee scrutiny. Cabinet will only take ‘binding treaty action’, once all related legislation is passed. The TPP is a complex agreement, with 30 Chapters, multiple annexes, and over 6,000 pages of text. In summary, chapter 1, Initial Provisions and General Definitions, recognises the TPP can coexist with other international trade agreements between Parties. Under chapter 2, Trade in Goods, TPP Parties agree to eliminate and reduce tariffs and other restrictions on industrial and agricultural goods. Over time, tariffs will be eliminated on 93 percent of New Zealand’s trade with member countries, saving exporters $259 million each year and opening up massive new market opportunities. Chapter 3, Textiles and Apparel, requires TPP Parties to eliminate most tariffs on textiles and apparel immediately, and on sensitive products over time. Chapter 4, Rules of Origin, establishes a single set of rules of origin to define whether goods are eligible to receive TPP preferential tariff benefits. Chapter 5, Customs Administration and Trade Facilitation, facilitates trade, by improving transparency in customs procedures to encourage smooth processing across borders, promoting regional TPP supply chains. Chapter 6, Sanitary and Phytosanitary Measures, ensures transparent, non-discriminatory rules based on science, reaffirming TPP members’ rights to protect human, animal or plant life or health in their countries. Chapter 7, Technical Barriers to Trade, establishes transparent rules for developing technical TPP regulations and standards to reduce unnecessary barriers to trade. Chapter 8, Trade Remedies, promotes transparency and due process through best practice remedies that do not affect the TPP Parties’ rights and obligations under the WTO. Chapter 9, Investment, establishes non-discriminatory investment policies that ensure basic rule of law protections, while ensuring member governments can achieve legitimate public policy objectives. In particular, it will increase investment in New Zealand by investors from other TPP countries promoting innovation, economic growth and the creation and retention of jobs. Chapter 10, Cross-Border Trade in Services, ensures that, given the growing importance of the services trade to TPP countries, the sector will be fully liberalized. New Zealand sold $8.3 billion of services, like tourism, education, IT, consulting, engineering, accounting and other professional services, to member countries in 2014 – under the new agreement, this is expected to grow considerably. Chapter 11, Financial Services, provides important cross-border and investment market access opportunities, while ensuring that Parties not only retain the ability to regulate financial markets and institutions, but also to take emergency measures in the event of a crisis. It will reduce the risk for New Zealanders investing in TPP countries. Chapter 12, Temporary Entry for Business Persons, facilitates business visits between TPP countries by streamlining the application process. Chapter 13, Telecommunications, encourages the free operation of market forces and commercial negotiations in the telecommunications sector of TPP countries. Chapter 14, Electronic Commerce, ensures the free flow of the global information and data that drives the Internet and the digital economy in TPP countries – subject to legitimate public policy objectives such as personal information protection. Chapter 15, Government Procurement, ensures government procurement markets are accessible through transparent, predictable, and non-discriminatory rules. This will lift the restrictions on New Zealand businesses seeking such contracts. Chapter 16, Competition Policy, ensures fair competition in the region, through rules that prohibit anticompetitive, fraudulent, or deceptive commercial behaviour. Chapter 17, State-Owned Enterprises and Designated Monopolies, establishes a framework of rules, to ensure SOEs and designated monopolies are commercially focussed and operate on a level playing field with private competitors – as they do in New Zealand. This will make it easier for New Zealand businesses to compete in TPP countries. The provisions do not apply to Fonterra, Pharmac, Vespri, district health boards, or crown research institutes. Chapter 18, Intellectual Property, covers patents, trademarks, copyright, trade secrets, and other forms of intellectual property, making it easier for businesses to search, register, and protect IP rights in new markets. Where the new IP rules differ from New Zealand’s preferred approach, some changes will be required. In chapter 19, Labour, all TPP Parties recognise the importance of promoting internationally recognised labour rights. In chapter 20, Environment, the TPP introduces comprehensive rules to reinforce environmental protection. Chapter 21, Cooperation and Capacity Building, establishes a Committee that will ensure all Parties are able to take full advantage of the opportunities the TPP creates. Chapter 22, Competitiveness and Business Facilitation, creates mechanisms to review the impact of the TPP on the competitiveness of member countries, through consultation with governments, business, and civil society, in order to deepen regional supply chains, assess progress, take advantage of new opportunities, and address challenges. In chapter 23, Development, the TPP seeks to become a model for trade and economic integration, by ensuring all Parties benefit from the agreement, fully implement their commitments, and emerge as more prosperous societies with stronger markets. Chapter 24, Small- and Medium-Sized Enterprises, focuses on ensuring small and medium sized businesses in member countries are able to share in the full benefits of the TPP. Chapter 25 deals with Regulatory Coherence, to ensure an open, fair, and predictable regulatory environment for businesses operating across TPP markets. Chapter 26, Transparency and Anti-Corruption, promotes the goal of strengthening good governance and reducing bribery and corruption. The TPP contains an annex on transparency and procedural fairness for pharmaceutical products and medical devices. While this will require PHARMAC to make some administrative changes to increase transparency, it will not change the model, nor its ability to prioritise spending and negotiate the best price for medicines with suppliers. Chapter 27, Administrative and Institutional Provisions, establishes a Trans-Pacific Partnership Commission, composed of Ministers and senior government officials, to oversee the agreement and ensure that it remains relevant to the trade and investment challenges confronting Parties. Chapter 28, Dispute Settlement, encourages Parties to expeditiously address disputes over the implementation of the TPP. The mechanism will protect New Zealand investors abroad while safeguarding the Government’s ability to regulate for legitimate public policy purposes. It includes more safeguards than previous trade deals, including allowing the Government to rule out challenges over tobacco control measures. Chapter 29, Exceptions, guarantees TPP Parties full rights to regulate in the public interest. This safeguards the New Zealand Government’s ability to make policy in important areas like health, environment, taxation, and national security, as well as to continue to meet its obligations under the Treaty of Waitangi. Chapter 30, Final Provisions, establishes a process by which the TPP will enter into force and can be amended, as well as the rules that enable other parties to join the TPP in the future, or withdraw. Given the Labour Party has traditionally supported free trade deals, is Andrew Little’s opposition to the TPP sensible or misguided?